As part of the community, the Lindon Police Department plays an important role in keeping the community safe. However, there cannot be a police officer on every corner, so citizen involvement is essential to combat crime. You and your neighbors are the ones who really know what is going on in your neighborhood. By cooperating with each other and law enforcement, people can help fight crime in their community in the most effective way – before it begins. By working with your neighbors and the Police Department, you can help fight crime in your neighborhood the most effective way…before it begins! Although the Police Department provides guidance in organizing and maintaining Neighborhood Watch groups, community volunteers, such as you, actually run the program. That way you can tailor the program to your own neighborhood’s unique character. HOW DO I START A NEIGHBORHOOD WATCH IN MY AREA? HOW DO I KEEP OUR NEIGHBORHOOD WATCH ACTIVE? 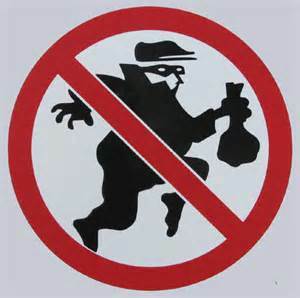 Contact the police department for ideas on keeping your Neighborhood Watch active. This may or may not be true; however, because there is usually a lack of communication among neighbors most people don’t know what is actually occurring in their own community. Neighborhood Watch encourages neighbors to talk to each other. At Neighborhood Watch meetings, a crime prevention specialist will provide group members with local crime statistics. This is probably true; however, most burglars will choose the easiest target, such as a house with an unlocked door or open window. Neighborhood Watch group members will learn how to target harden their homes. The Police Department offers free Residential Security Consultations to all citizens. That’s totally fine, we don’t care! Sometimes something totally innocent may look suspicious. However, what if your instincts were right? You could have prevented a burglary or something much more severe from occurring. Neighborhood Watch teaches group members how to identify and report suspicious persons, vehicles, activity, and crime. Please contact us for more information or to schedule a Neighborhood Meeting in YOUR neighborhood!